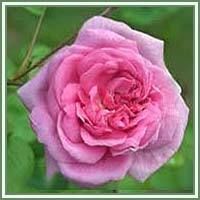 Habitat: Rose de mai is a hybrid rose developed in Netherlands. 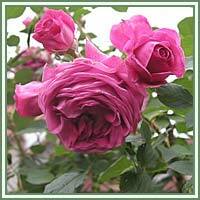 Description: Rose de mai is a shrubby plant, growing up to 2 meters tall. Its stems are covered with prickles. Leaves are pinnate, gray-green in color, serrated and with 5 to 7 leaflets. Flowers are large and globular, with numerous obovate, pink to dark-purple petals. Fruits are scarlet to orange red and oblong, with many one-seeded anchenes. Medicinal use: Tea made from the petals is recommended as a “blood purifier”. It can also be used in treatment of jaundice, excessive menstrual flow, vertigo and headaches. In France, Rose de mai is usually employed for the distillation of rose water. Safety: Some herbs could react with certain medication. Therefore, it is highly advisable to consult your doctor/herbalist before consumption of any herb.